The West Indies former fast bowler had slammed Hardik Pandya's 'all-rounder' ability ahead of the Trent Bridge Test match in Nottingham. But the Holding's statement backfired as Pandya impressed with both bat as well as with the ball in his very next outing. 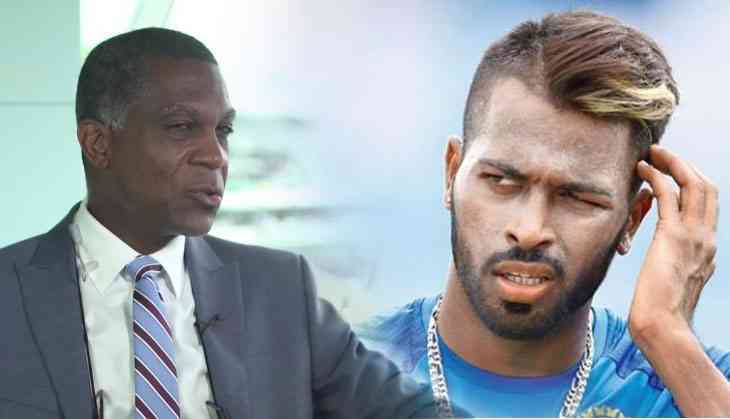 The former West Indies bowler Michael Holding cited that “Please go back and listen to or read what I have said about Pandya. I was more critical of the people who were telling me he is the next Kapil Dev, not of Pandya himself." Further Holding cited that “I have gone on to say that he is not the man to fill that sort of role as yet, batting at No. 6 and bowling. “He (Pandya) only bowled 10 overs in the entire first Test (Edgbaston) and 17 in the entire second Test where the seamers on both teams were making the ball talk and batsmen were struggling. He got no runs in either of the first two Tests as well. "He bowled a lot more in the third Test and maybe that is down to the fact that he got a wicket with his first delivery, which then convinced his captain to give him more overs than in the first two Tests,” cited Michael Holding.